You have the chance to put on the final touches that will make this house a home. Before we move in, donors like you will provide all the bedding, kitchen tools, education materials and other supplies that women at Calvary will use as they prepare for independent living. Your housewarming gift will make a real difference at Calvary’s new home by supplying the tools we need to help women feel safe and cared for. It couldn’t be easier – you can purchase household items through our online Wish List at Wal-Mart and they will be shipped directly to Calvary’s programs. If your family, office, congregation, or volunteer group wants to get together and pitch in, you can even furnish an entire bedroom. 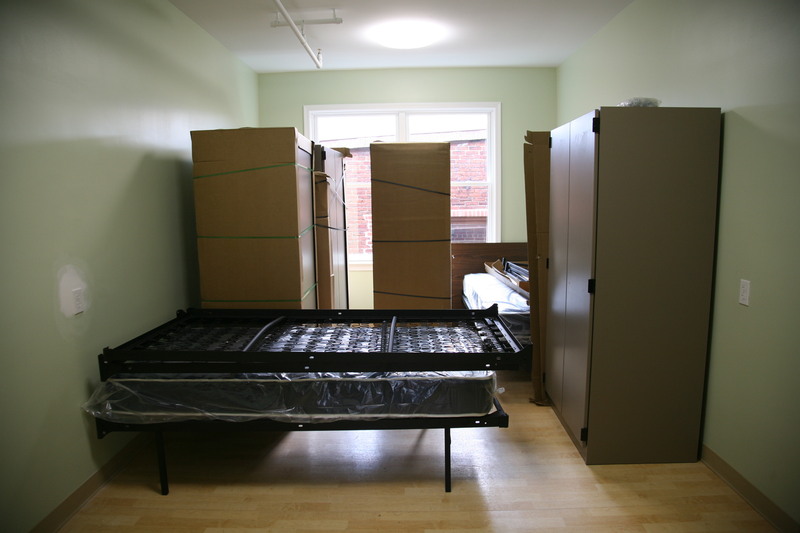 You will create a warm and welcoming bedroom for two women who have been living in emergency shelters or on the streets. It’s an easy way to make a big difference for women at Calvary. If you prefer to make a financial donation instead, you can make a gift on our website and let us know that you want to help with the Wish List. For more information about how you can help, please contact us at info@calvaryservices.org.